As Anya Linden, formerly Prima Ballerina of the Royal Ballet. Former Trustee of The Royal Opera House and Governor of The Royal Ballet School. Trustee of The Linbury Trust, and founder of the prestigious Linbury Prize for Stage Design. Currently Classical coach at Rambert School and The Royal Ballet School. Danced with the Martha Graham dance company for some twenty-five years. The next twenty-five years of his life were taken up with establishing the London Contemporary Dance Theatre. Can be argued to have established Contemporary Dance in Britain and is regarded as one of the most insightful, important and wise teachers and choreographers of the twentieth and twenty-first centuries. Formerly a partner with Slaughter and May Solicitors. Trustee of The British School at Rome, and a Governor of Clifton College. A tenant of Devereux Chambers and a lecturer and Honorary Fellow at Durham Law School where she teaches employment and commercial law. 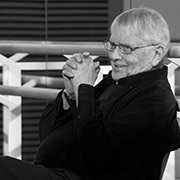 Assis was for many years the Artistic Director and CE of DanceEast, Jerwood DanceHouse and is the former Artistic Director of Royal Ballet Flanders. She is currently Director for Culture for the Quebec Delegation in London, and a freelance Cultural Producer and Programmer. Co-founder of Information Risk Management, a leading expert in information security. He is responsible for a large portfolio of valued clients in the corporate space, identifying and driving business development and corporate strategy. Publisher and co-founder of Rowman & Littlefield International, an independent book publisher in the Humanities and Social Sciences. Sarah previously held senior positions at Continuum and Bloomsbury. She works with authors across the academic spectrum to develop projects that represent the cutting edge of modern scholarship. Initially a literary agent at the William Morris Agency, then her own management company, Sophie specialised in spotting and developing the writing and directing talents of new clients. Formerly she held a senior position managing Mason Rose, a sales and marketing company. A Minnesota native now based in London, Deirdre’s performing career took her from San Francisco Ballet, to Rambert Dance Company and The Royal Ballet. Since gaining MA and teaching qualifications she is now a regular teacher and coach at major companies and schools, as well as focussing on staging productions including recent work by Crystal Pite at The Royal Ballet and Cathy Marston. A Canadian who trained at The Royal Ballet School and is now the Assistant Ballet Principal at The Royal Ballet School, White Lodge. Hope previously taught Ballet at Rambert School for 15 years. Formerly a senior executive in the finance industry providing investment advice to institutional investors, Holly has a practical understanding of how sustainability and business ethics relate to commercial success and the wider role of the corporate sector. Talented linguist with fluent Japanese. Currently sits on the Independent Monitoring Board of HMP Wandsworth and consults on corporate governance and sustainability issues. Initially a producer of arts documentaries and then producer of operas and ballets from The Royal Opera House, Covent Garden for BBC Television and Channel 4; formerly a Governor of The Royal Ballet for 11 years and a Governor of the charity Live Music Now. Currently Festival Director of the Chalke Valley History Festival. 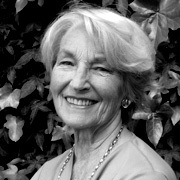 Frances Prenn is the Founding Partner of Scott Prenn LLP, a London based strategic fundraising consultancy delivering high impact campaign services to non-profit organisations. In a career spanning over twenty five years both in the United State and Europe, Frances uses her expertise in strategic philanthropy and development, communications, fundraising, sponsorship and specialised events to advise US-UK transatlantic organisations, families and philanthropists. A qualified Chartered Accountant, Katie has extensive experience across finance and accounting, valuation, audit, risk and internal controls, investor relations and general operations. Katie spent the first eight years of her career at PwC, following which she held senior positions in both operations and finance at J. Rothschild Capital Management Limited. She joined Law Debenture plc as Chief Financial Officer in June 2018.